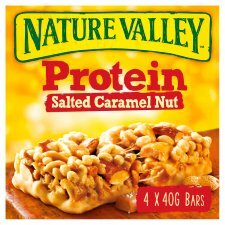 Chewy protein bar with peanuts and almonds dipped in a salted caramel flavoured coating. 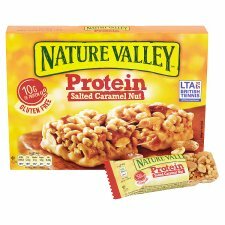 When hunger strikes, get your Nature Valley Protein Salted Caramel Nut bar, containing 20% of your daily protein needs and 50% less sugar**. This gluten-free better for you snack has 40g of carefully selected ingredients, like wholesome natural peanuts and almonds with a touch of delicious salted caramel, making it a great on-the-go snack for your next adventure. Protein contributes to the maintenance of muscle mass and of normal bones. 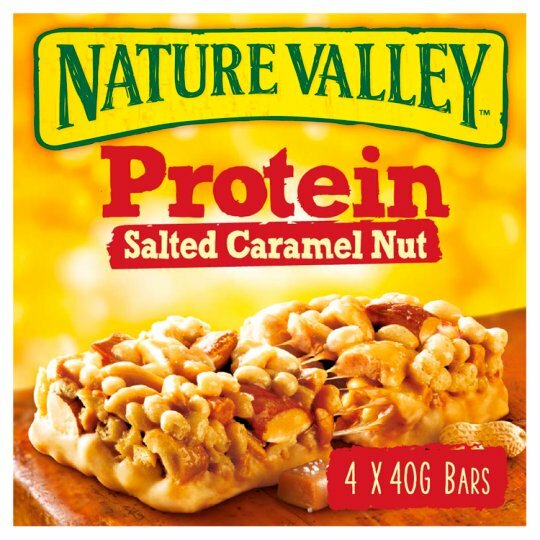 Nature Valley Protein is high in protein. Nature has been our inspiration since 1975. That's why all our bars are made with great tasting ingredients like natural peanuts and almonds; that's also why we are proud to be official snack bar of British Tennis who share our love for getting people outdoors in nature and inspiring an active nation.